Actors Naga Chaitanya and Samantha are engaged. The pair has been dating since 2014. 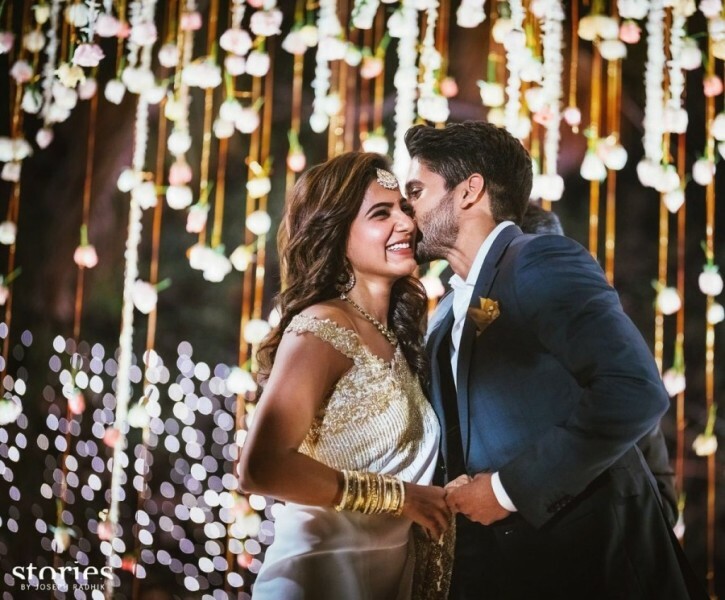 They got engaged with the blessings of their respective parents.Naga Chaitanya put simple but beautiful ring to Samanthas finger on the stage and kissed on her cheek.The beautiful couple hugged each other on the dais amidst cheers and claps from the guests. Samanthas father was present on the stage.Their betrothal ceremony took place tonight at N Convention Center in Hyderabad. Not many guests were invited. It is said that only family and friends were present. Nagarjuna, Naga Chaitanyas father, said he is so happy in life now.